Ms. Backlund has joined the leadership team of Gulf Coast Jewish Family & Community Services as Chief Financial Officer. She is an accomplished healthcare executive specializing in operations and finance who brings to Gulf Coast JFCS demonstrated leadership, strategic decision making, as well as expertise in creating innovative care models for the under-served and at-risk populations. Her success includes strengthening organizations through influencing and leveraging relationships as well as optimizing the delivery of community-based and Medicare/Medicaid health services for the elderly, children, and disabled patient populations. 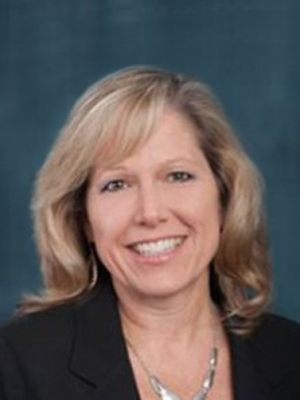 Michelle was most recently Chief Operating Officer for a statewide ancillary service provider for managed care organizations. Her past roles include Executive Director for Chapters Health Senior Independence in Tampa, and Vice President of Administration/CFO for Neighborly Care Network, Inc.
Michelle is a St. Petersburg native and graduated from the University of South Florida with a bachelor of science in Accounting. She earned her MBA from Webster University in Tampa. She is a member of the Florida Council on Aging, is a Certified Senior Advisor, and also currently serves on the board of directors for Meals on Wheels of Tampa.